With the increasing awareness of healthy living, people are turning to growing their own organic vegetables in their backyards. 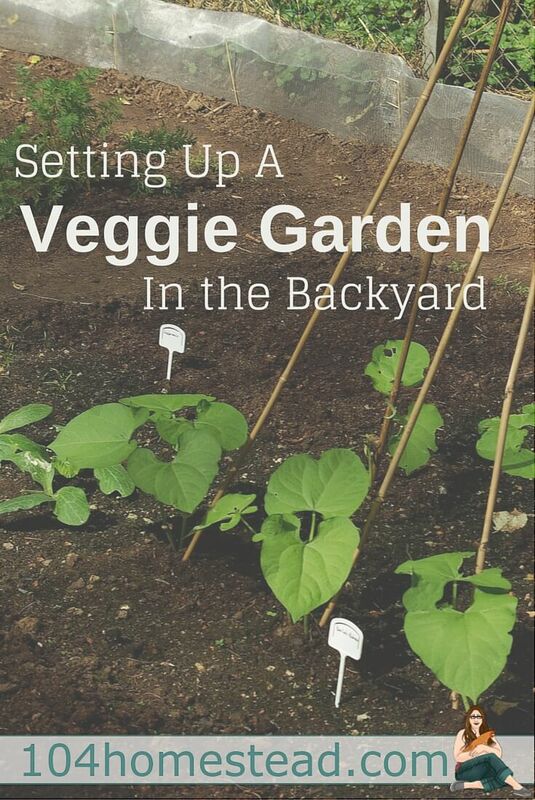 A backyard veggie garden has many advantages. Not only does it save money and provide a constant flow of fresh vegetables, but it’s also a source of recreation and physical exercise in relaxing environment and fresh air. 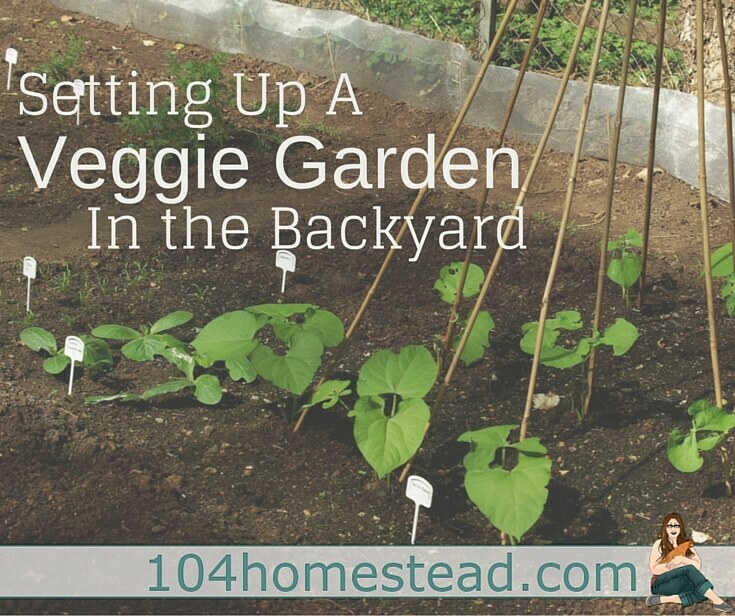 There are several points when it comes to backyard gardening that you should take into account. These are the garden location, type and size, fertile soil and the choice of crops. These are some of the directions and ideas to consider. Regardless of your garden size, when picking the perfect spot the most important issue is the sunshine. Many vegetables need minimum six or eight hours of direct sun (but not all!). It directly affects the harvest and health. If a plant doesn’t get enough sun, it won’t bear much and it will be more susceptible to insects and diseases. Still, some leafy vegetables like lettuce and spinach thrive in shaded gardens. The next requirement is water. Vegetables like water and you’ll do yourself a favor if you place the garden close to a source of water, because you’ll be watering it a lot. If you have enough space and you don’t want to invest more money and time than you need, maybe the best option for you would be in-ground garden beds with crop rows. They don’t require building or raising, but then weeds from the pathway weeds may creep into the bed. This type of veggie garden is spacious, but it doesn’t provide any physical protection from pests, pets, and children. If you are a systematic person who likes to plan and execute, you should consider raised garden beds. They allow you to tend your plants much easier since they are raised. The wooden board insides prevent weeds from creeping into the beds, while also acting as a protection from slugs and snails, but also from mowers and pets. The soil in raised beds warms more quickly in the summer and provides the very good drainage without compacting the soil. If you don’t lack space you can even build a family greenhouse out of a shipping container. These are called “urban farm units” or UFUs and are made of a container base with multilevel raised beds and trellises and the greenhouse superstructure. Shipping containers are widely available nowadays and you can modify them if needed to accommodate even a small chicken farm or a set of fish tanks. If you are a beginner gardener maybe you should start small and plant no more than you need. Think of how much vegetables your family consumes. Some plants like tomatoes, peppers, and squash keep bearing throughout the season and you don’t need many of those planted. What is more, plants like tomatoes and cucumbers will benefit from vertical growth so if you include a trellis, they will climb and save space while bearing more fruit. For other plants which are picked and consumed as a whole like carrots, radishes and corn produce only once. Happy veggie gardening and see you in the spring! Great post with great tips! I’m planning to make one this weekend! Gonna try it out with your tutorial! I started a small garden last year. I quickly realized the chickens were eating much of it lol! I had to put some chicken wire around it until I figure out a better way to keep them out lol. Glad I went small last year! How do I keep cats out of the raised beds that I have? Is there a spray that will keep them away? Can you eat veggies from a garden where cats might have used it like a litter box? Cats hate citrus, so sprinkling some citrus rinds or spraying with a citrus spray might help (just be sure to spray walking paths and not the plants or soil right near the plants). If the cats have a favorite spot, you can poke plastic forks (tine side up) in the soil. As far as eating the produce, so long as you clean it before eating, you should be fine. Deer are the bane of my existence. Short of a sturdy fence, I don’t know how to keep them out. For rabbits, I make a mix of hot sauce, dish soap, and warm water in a spray bottle and spray it around the perimeter of the garden every few days. Do u think the hot sauce would work for squirrels too? Hot sauce is often effective with squirrels. I’ve heard that peppermint essential oil (or any mint really) applied to cotton balls and scattered around repels them from even entering the garden space.